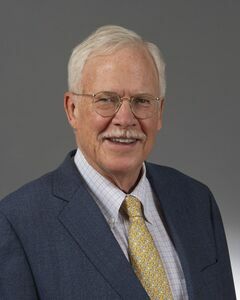 Rusty Aertsen has been serving on the Board of Directors of Hamilton’s publicly traded entity, New England Realty Associates Limited Partnership, and has been Chairman of its Audit Committee since 2002. He also has been Co-Managing General Partner with Harold Brown on Hamilton’s privately-held partnerships since 2009. In addition to his roles at Hamilton, Rusty Aertsen is Chief Executive Officer of Aertsen Ventures LLC, a private equity and venture capital firm focused on technology and real estate since 1999. He is a Founding Director and Chairman of the Board of Directors of the Massachusetts Housing Investment Corp., a partnership of corporate investors, housing sponsors and public agencies that provides financing for affordable housing and community development projects since 1997. From 1973 to 1998, he held executive and management assignments in corporate lending, real estate, capital markets, venture capital and asset management at Bank of Boston Corporation. From 1992-2002, he was Chairman of the Board of Trustees of Old South Church in Boston. Rusty Aertsen is a graduate of Harvard University. Rusty can be reached at raertson@thehamiltoncompany.com.